This title will be of great interest to food scientists and engineers based in food manufacturing and in research establishments. It will also be useful to advanced students of food science and technology. 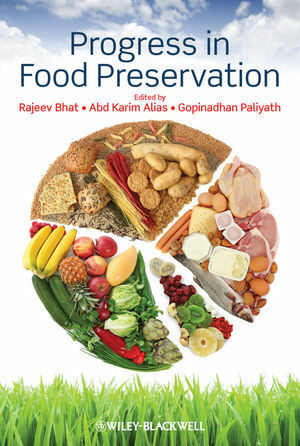 Rajeev Bhat is a Senior Lecturer in the Food Technology Division at the University Sains Malaysia, specialising in food safety and nutrition. His research interests include: food nanotechnology, nutraceuticals, microbial technology and the application of modern food preservation technology. Presently, he is involved in teaching food microbiology and food chemistry. Dr Bhat has published more than 50 papers in peer reviewed international and national journals. He has several book chapters to his credit and has co-edited a book on food biotechnology. A.K. Alias joined the School of Industrial Technology at the University Sains Malaysia in 1994 after obtaining his PhD in Food Technology from University of Reading. He teaches food processing and preservation, physical properties of foods and food ingredients. His research interests are mainly in the fundamental aspects of structure-property relationships and the technological applications of starch and non-starch polysaccharides. He is the group leader of the Food Biopolymer Research Group, a virtual research group established to undertake extensive research on food biopolymers. He has published more than 60 papers in international journals and proceedings and presented more than 40 conference papers. Gopinadhan Paliyath is a Professor at the University of Guelph, Canada. His research is primarily in the area of biochemistry, specifically pertaining to fruits and vegetables, and in relation to their senescence (ethylene, signal transduction, calcium second messenger system), shelf life and quality, nutraceutical ingredients and their mechanism of action. Recent research includes investigations on the role of phospholipase D (PLD) in membrane homeostasis and signal transduction.